the other wallpaper submit was erased, cause the image was corrupted (O_O?) and I decided to upload again. Nice Picture, She 's cute ><"
she's on my top 10 list for anime cuties (not hotties...difference). oh..the sky is a bit plain though but nice work! she so CUTE but yet DARK! 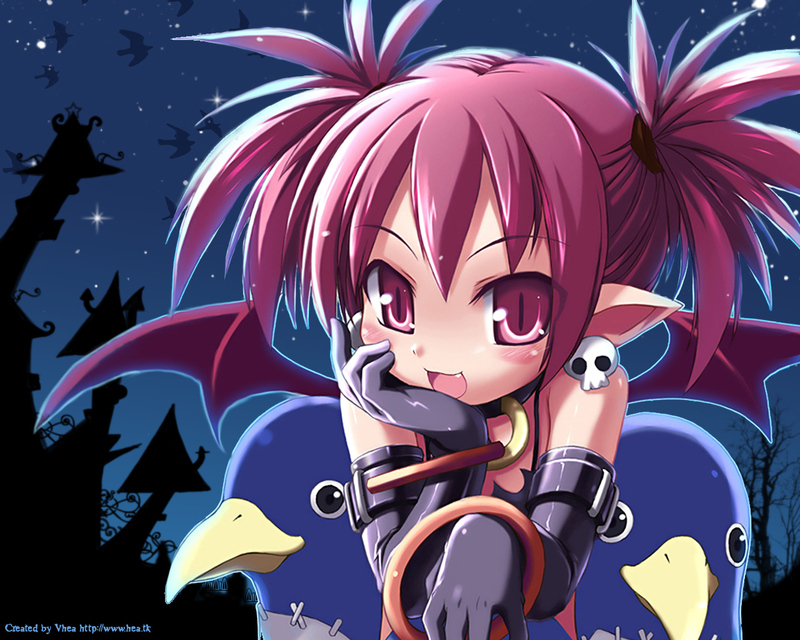 Excellent Disgaea wallpaper Vhea, easily oneof the better wallpapers I've seen here in terms of it's bright, crisp, quality. Keep up the great work.